Have you thought about your cell membranes lately? How about adenosine triphosphate? You couldn’t live without either. Have you considered how lightning fertilizes plants? Or the reason ice floats instead of sinking beneath the warmer water? What about the flight control system of bats? How do these unique creatures perform such incredible aerobatic maneuvers? And how does an Anna’s hummingbird survive 10 G’s when it pulls out of a 90-feet-per-second dive? Explore the wonders of God’s creation with biologist David A. Steen, and discover the intricacies of things we usually take for granted: taste, gravity, skin, bacteria, trees, DNA, stars, cellular reproduction, and many more. Are you ready to experience an overwhelming sense of awe? God’s creative genius is simply breathtaking. 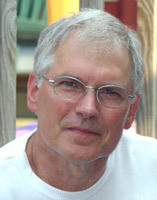 David A. Steen, Ph.D., is a professor of biology and the chair of the biology department at Andrews University. He hopes to awaken in readers the full realization that God created everything and to inspire worship of our amazing Creator.